Compatible with CueScript EMC Monitors only. 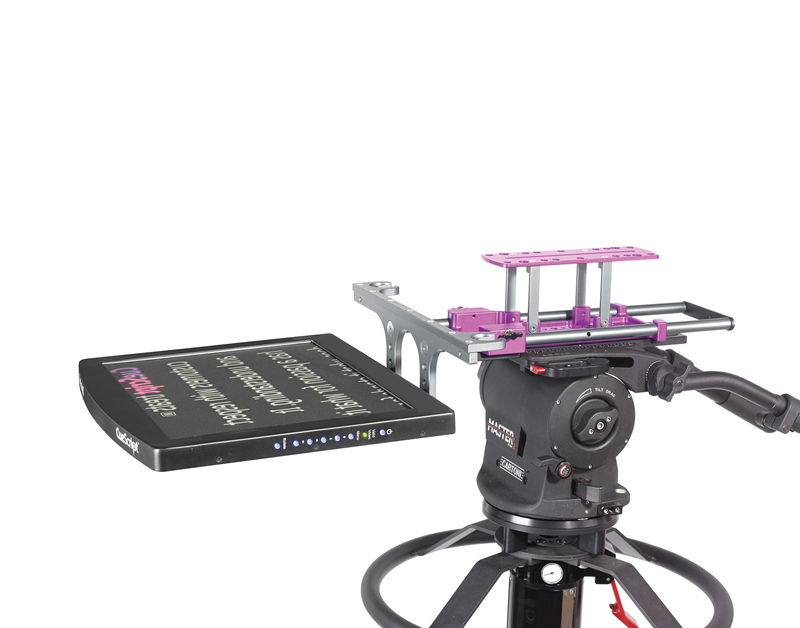 The CSMPM Medium Mount Purple is a smaller mounting plate than the original Large Mount Purple (CSMPL), and more suitable for lightweight setups with an EMC Monitor. 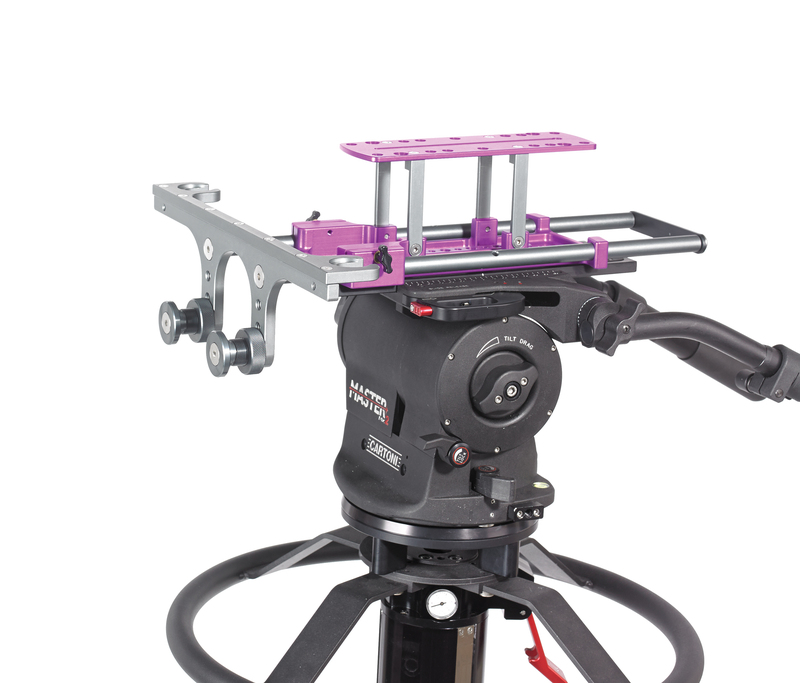 Beautifully machined to allow for slide and click mounting and adjustable for all fluid heads. 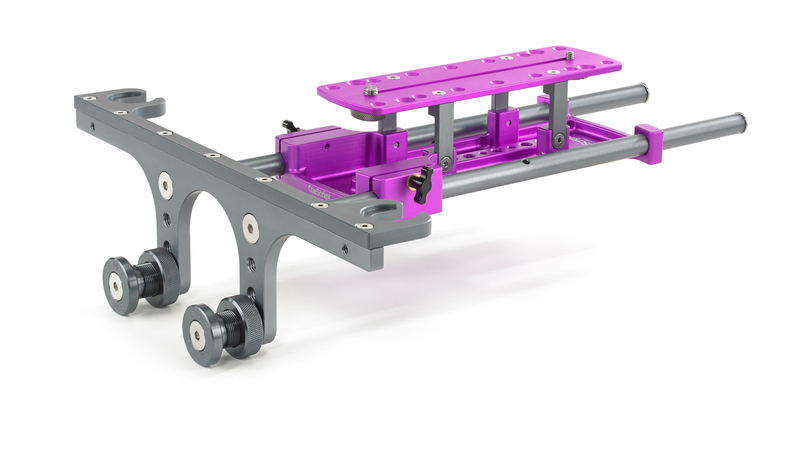 A fixed height riser plate is attached as standard. Compatible with the Medium Collapsible Hood (CSHCM) and the Medium Hood (CSHM), which are easily interchangeable.